Each child is in an age appropriate room led by committed volunteers. The service time if filled with creative elements to connect with your child. TPC provides a clean and safe nursery for your child so that you and your family can enjoy worship services without distraction. Babies are surrounded by caring volunteers who love nurturing these little ones. When checking in your child, please bring: diaper bag, diapers, wipes, bottle or sippy cup, pacifier, extra outfit, and a soothing stuffed animal or blanket if necessary. Toddlers environment provides a safe zone for those who may be a little unsteady on their feet. In addition to play, energetic volunteers begin introducing children to important truths from God’s Word. When checking in your child, please bring: pull-ups and wipes, and a change of clothes; sippy cups are okay, too! *As we launch our Nursery and Toddler ministries will be within the same room but will have separate environments to meet their needs. Preschoolers will experience interactive lessons that reinforce important virtues from God’s word. 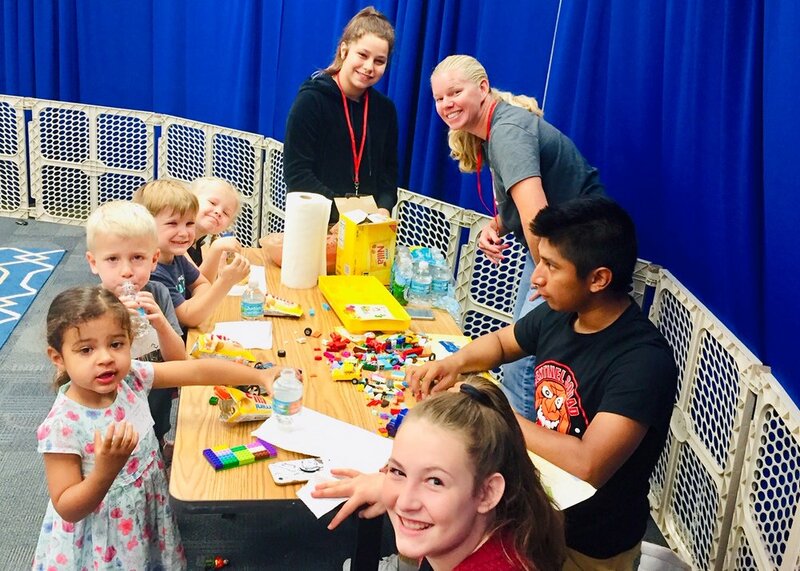 Using a large group/small group format that features engaging worship, multimedia, skits, and hands-on activities, dedicated volunteers teach the children and prepare them to transition seamlessly to their next age-appropriate environment. Elementary Kids will likely be the most amazing part of your child’s week! Passionate leaders present an engaging large group lesson, complete with awesome worship, captivating multimedia, and live skits. This is followed by age-appropriate small group time to dig deeper into each week’s bottom line from God’s Word.